The largest paradise island of Thailand is known to many international travelers as Phuket. It lies on the western edge of southern Thailand with all the beautiful offerings of the Andaman Sea – emerald green crystal waters and stretches of beautiful beaches. Many western travelers have enjoyed the place and decided to keep a permanent presence in the island offering tranquility, beauty and a plethora of exciting experiences as they merge with the Thailand culture. 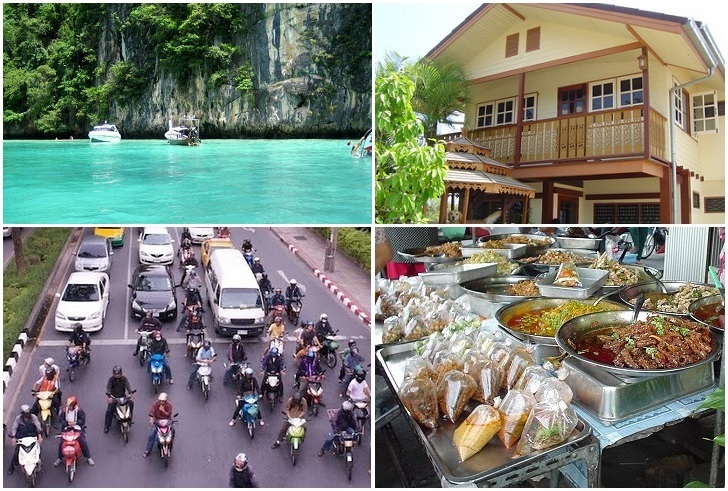 Many western visitors have chosen to make Phuket their second home and everyone can understand why. Phuket has got what they don’t have in their country of origin – sun baked beaches that complement the immense turquoise sea with majestic natural stone formations jutting out from the sea, making Phuket really special. By western standards, Thailand is not at all an expensive country. By local standards, Phuket is by far a more expensive place in Thailand. But the westerners can enjoy a pretty comfortable life in Phuket than from where they come from. While there are jobs available to foreigners, they are not that many and it is advisable for any foreigner to have substantial amount of savings before coming to Phuket to stay longer if not permanently. A westerner can live in Phuket comfortably at 30,000 Baht per month. Having 60,000 baht to 100,000 baht to spare, foreigners can enjoy more than a luxurious life in Phuket. However, bringing your children to Phuket can be very expensive because the well-known international schools charge huge amount of school fees for the children. Foreigners need visa to be allowed to stay in Thailand. For foreigners planning to stay in Phuket permanently, a visa option – Non-Immigrant visa , is available and it will allow foreigners to stay in Phuket for a year upon entry to the Kingdom, extendable every year thereafter upon proof of having the means to support themselves in Phuket. Extension of non-immigrant visa is done yearly without having to leave Thailand. Click this link for an extensive explanation of Non-Immigrant visa classes. There is a new visa option in Thailand which can allow a foreigner to stay in Phuket for at least five years on condition that they take up the Thai language course in Phuket. The language schools in Phuket can arrange this course for up to 5-years of study and the foreigner is freed from the hassles of the commonly-used visa runs. Visa runs are the most common way for foreigners to continuously stay in Thailand by hopping to the border to a neighboring country like Myanmar and returning to Thailand to get a new entry stamp of 15 days if you enter by land and 30 days if return entry is by air. The Land Law in Thailand prohibits foreign ownership of land and properties. Although there are some acceptable exemptions to the rule, the processes are quite complex and require some financial manifestations. Foreigners may buy condos. Foreign ownership of the entire block may not exceed 49%. Foreigners can get long-term land leases of up to 30-years. Here’s an article regarding foreign nationals wanting to legally own a property in Thailand. For some foreigners with Thai spouse, properties may be registered under the name of their spouse and with a waiver of interest on said property. Another complicated way is by setting up a company in Thai with 49% foreign ownership and 51% Thai ownership. To get around this option, an expert lawyer should be engaged to facilitate the process. For more articles like this, simply follow our blog.